I know that to all the kids in the audience, any reference to 1989 and you instinctively start bobbing your head to one of Taylor Swift's catchy tunes (if you didn't get the Target deluxe edition, you might as well just throw away your Swifty membership car right now buddy) but for car guys 1989 was a pivotal year for the Japanese auto industry in America. Here are a few cars introduced in 1989; Acura NSX, Infiniti Q45, Lexus LS400, Nissan 300ZX, and Mazda's MX-5 Miata. Yeah, it was a good year for car guys/gals. 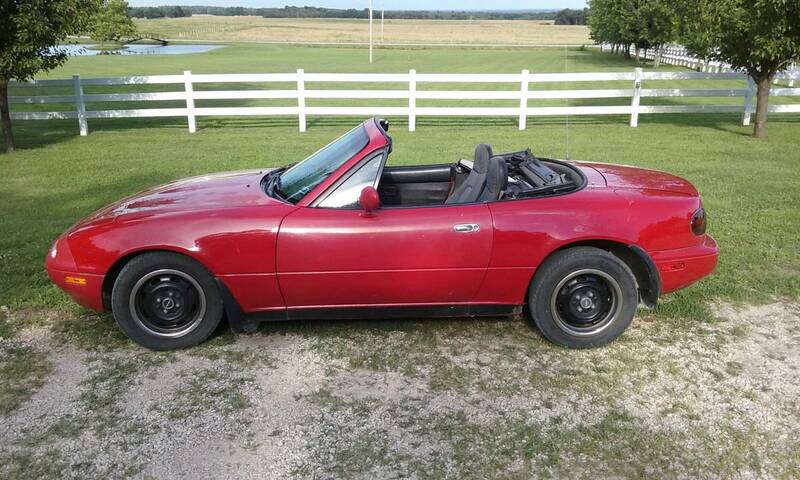 Find this 1989 Mazda MX-5 Miata offered for an undisclosed price in Springfield near the Simpsons' house. This post is part of DT's 2016 Birthday Celebration of 100 cars; enjoy the ride! 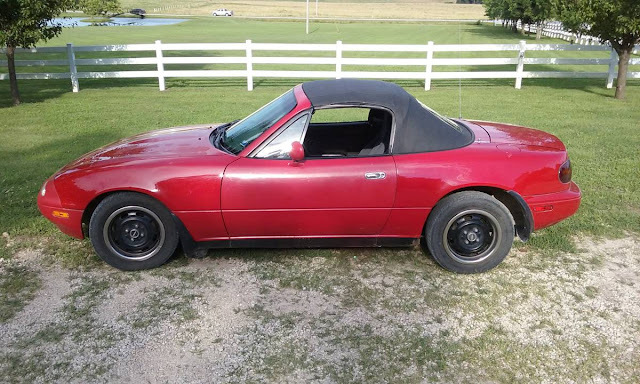 This is the best way to buy your first MX-5; avoid the low mileage trailer queens that sell for $8k-10k; you will feel bad hate thrashing them. But one like this with 262k miles an some rust along the bottom? In this one you won't feel bad about doing Dukes of Hazzard shenanigans, all-day-long. The little 1.6 liter 4-banger only puts out 115 horsepower, but you only have 2000 lbs of mass to launch off those jumps. See a better car for 1989? I DON'T THINK SO! Can't be an '89 with left-hand drive. Probably a '90. These are good cars, own 2 of them.